St. Patrick’s Day parade. City of Chicago photo. 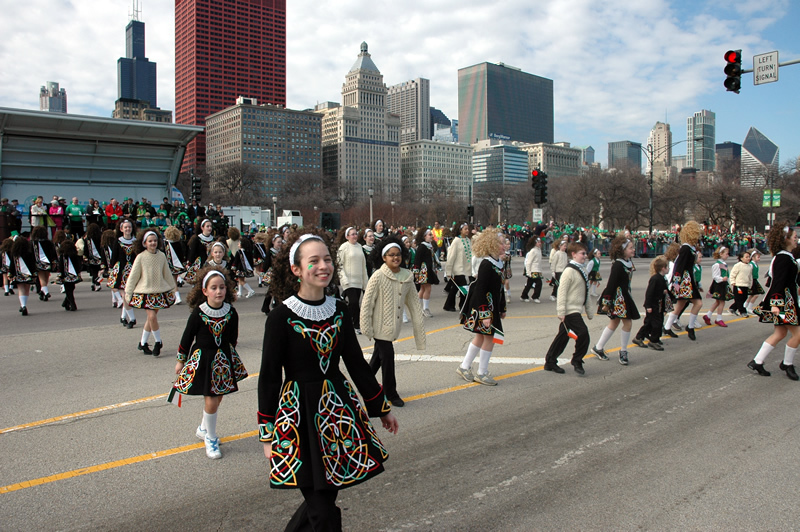 GOLD COAST SHORE REPORT — The Downtown Chicago St. Patrick’s Day Parade will be held next Saturday, March 11, 2017 at noon. Alderman Brendan Reilly will be marching with a contingent in the parade, and constituents can join him. All marchers must be lined up by 11:15 a.m. This year Reilly’s group will be located in Slot #42, on Balbo Drive, just west of Columbus Drive. Look for the trolley, complete with Alderman Reilly’s St. Patrick’s Day banners. If you have any trouble finding us, feel free to ask any Parade Marshal in a yellow t-shirt and they will be able to direct you. To RSVP, sign up at tinyurl.com/ReillyStPatsParade. Don’t forget to include the names of friends and family that you will be bringing!